Interstate 69 travels east from the Tunica and De Soto County line along Mississippi 713 near Tunica along a rural route to Interstate 55 at the future south end of Interstate 269 near Hernando. The route combines with Interstate 55 northward from there to Memphis, Tennessee. 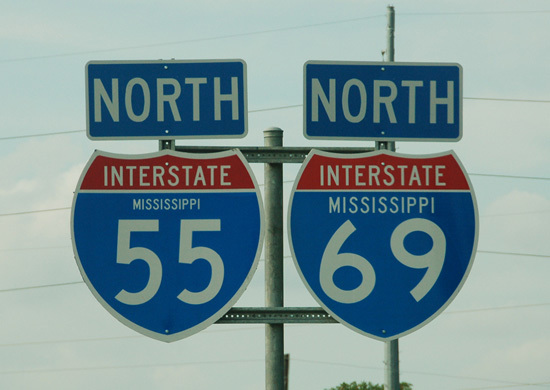 This pair of Interstate shields was posted along the Interstate 55 mainline in early 2008. Photo taken by Jake Bear (07/14/08). The first segment of Interstate 69 outside the original alignment between Indianapolis and Port Huron, opened to traffic in Mississippi on October 3, 2006.1 The freeway splits with Mississippi 304 near the west end to head southward and end at the county line just north of the MS 713 intersection with the MS 304 Scenic Loop. MS 304, while not a part of the Interstate, provides a freeway connection west directly to U.S. 61near Harrah’s Parkway. On May 6, 2008, the Interstate 69 designation was extended north on shared alignments with Interstates 55, 240 and 40 through Downtown Memphis to Tennessee 300, after approval by AASHTO. 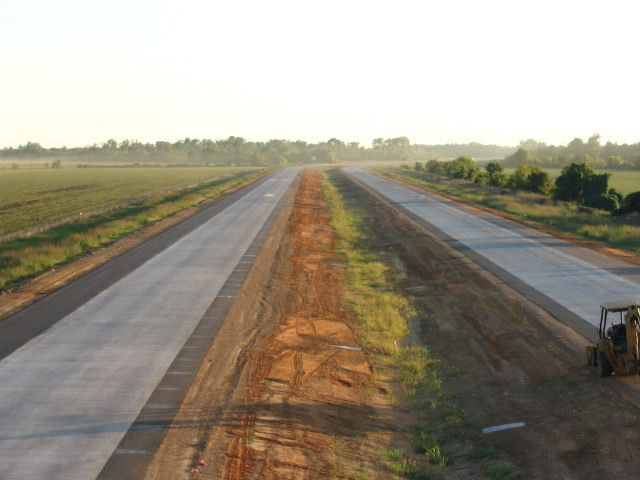 Cosigning of I-69 with I-55 to the Tennessee state line is in place. North from there, Future corridor signs take the place of conventional shielding. 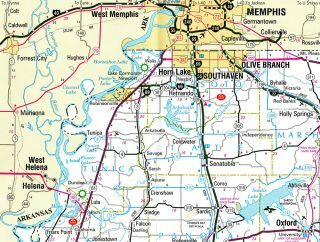 Interstate 69 in Mississippi will eventually tie into Interstate 269 from Olive Branch and Southaven to the east. 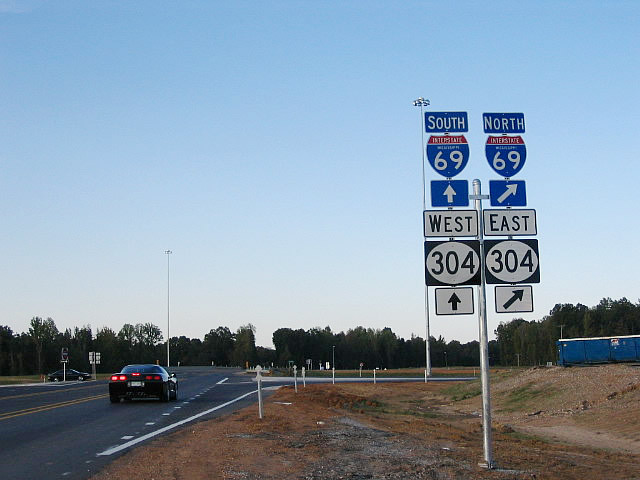 Mississippi 301 north at the diamond interchange with I-69 & MS 304 in rural DeSoto County. Photo taken by Robert Lee (10/08/06). The unopened stretch of Interstate 69 leading southwest from the Green River Road overpass. Photo taken by Robert Lee (10/08/06). Looking north from the Green River Road over crossing at the wye interchange that joins Interstate 69 & MS 713 with MS 304 prior to opening. Photo taken by Robert Lee (10/08/06). Tennessee 300 constitutes a short freeway spur linking U.S. 51 with Interstate 40 at Watkins Street. The freeway east expands to three lanes ahead of the unmarked north end of I-69. Photo taken 08/07/10. Two lane ramps partition for I-40 east toward Jackson and Nashville and I-40 east & 69 south to Downtown Memphis. Photo taken 08/07/10. The adjacent parclo interchange (Exit 3) with Watkins Street is accessible from SR 300 east via the connection with Interstate 40 east. Photo taken 08/07/10. Looking at the pier supports that eventually supported the Interstate 69 mainline overpass above I-55 at their full cloverleaf interchange. Photo taken by Zach (07/18/03). Green T Road was realigned to accommodate the new c/d roadways and ramps between Interstates 55 and 69. This view looked southeast from adjacent U.S. 51. Photo taken by Zach (07/18/03). Interstate 69 north combines with I-55 north near Hernando. The first ramp connects eastbound I-69 with southbound Interstate 55. 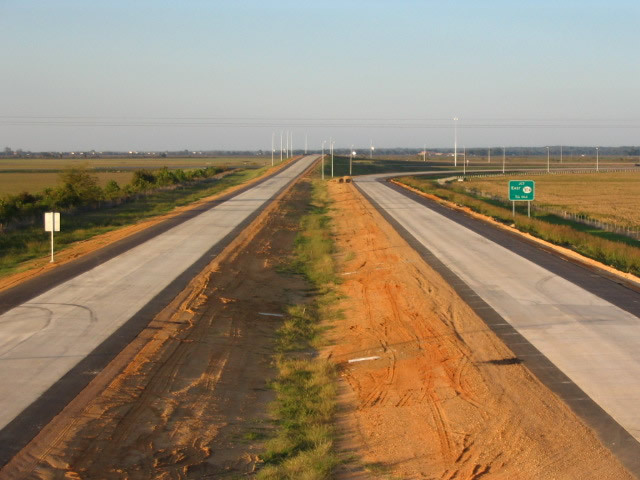 As of mid-2007, the control city for southbound Interstate 55 was changed from Hernando to Jackson.2 Photo taken by Robert Lee (10/08/06). A TOTSO (turn off to stay on) connection takes the I-69 north mainline onto a c/d roadway leading north to I-55 and Memphis. Interstate 269 will begin here in 2018, when the beltway east to Cayce is complete. Later sign changes made at this ramp added I-69 north and replaced Nesbit with Southaven. Photo taken by Robert Lee (10/08/06). Northbound Interstate 55 approached its junction with Interstate 69 and Mississippi 304 at Exit 283 (one mile). Photo taken by Robert Lee (10/08/06). A collector distributor roadway branched away from the I-55 northbound mainline for Interstate 69 & Mississippi 304 west to Tunica. It will eventually serve I-269 east to Collierville, Tennessee. Both of these signs were replaced by 2009. The pull through panel added I-69 north while a blue Casinos placard was added for Exit 283. Photo taken by Robert Lee (10/08/06). An unnumbered loop ramp takes motorists onto I-69 south & MS 304 west toward Tunica from I-55 north. 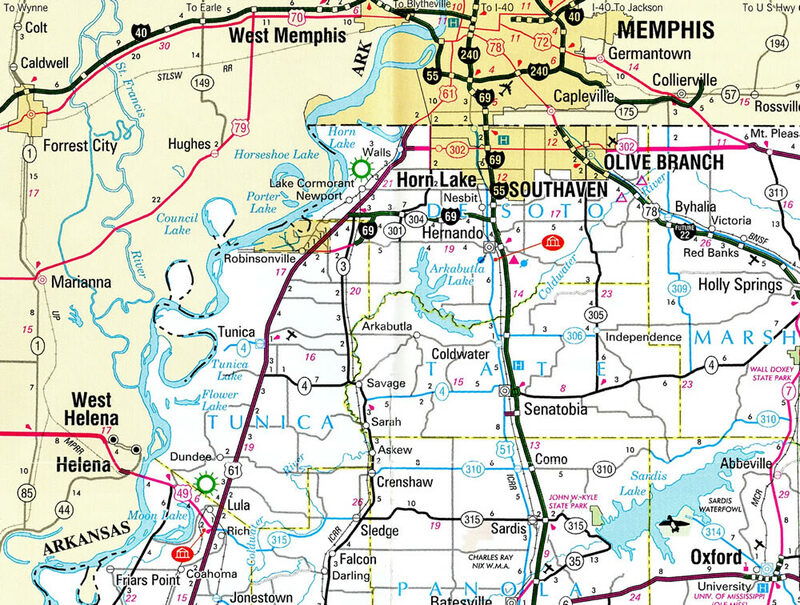 Old Mississippi 304, which is located south of here in Hernando, was redesignated as Scenic Loop MS 304. Photo taken by Robert Lee (10/08/06). The first reassurance shield assembly for I-69 south & MS 304 stands just west of a Canadian National Railroad underpass and opposite the Morrow Crest North subdivision. Photo taken by Robert Lee (10/08/06). MS 304 splits with Interstate 69 west and remains a freeway directly to U.S. 61. I-69 meanwhile turns southwest along side MS 713 toward U.S. 61 at Casino Strip Resort Boulevard. Photo taken by 08/07/10. Upon crossing the DeSoto-Tunica County Line, Interstate 69 south temporarily comes to an end. The freeway extends another 1.6 miles to Scenic Loop MS 304, where MS 713 transitions into an at-graded arterial. Photo taken by Robert Lee (10/08/06). Mississippi 304 concludes one half mile mile west of Mississippi 3 at U.S. 61 north of Tunica. Photo taken by Robert Lee (10/08/06). Traffic separates into single lane ramps at the trumpet interchange with U.S. 61. Photo taken by Robert Lee (10/08/06). Interstate 69 & Mississippi 304 west at their split, prior to the opening of the I-69 leg south along side Mississippi 713. This sign bridge was removed by 2007. Photo taken by Robert Lee (10/08/06). A begin sign formally marks the transition of Mississippi 713 north to Interstate 69 at the Tunica-DeSoto County Line. Photo taken by Robert Lee (10/08/06). Interstate 69 north turns east onto Mississippi 304 as Mississippi 713 ends via a wye interchange. Photo taken 06/02/10. The first reassurance shield for Interstate 69 north appears along side Mississippi 304 east beyond their merge. Photo taken by Robert Lee (10/08/06). U.S. 61 travels a short distance north of the signalized intersection with Harrah’s Parkway west and Green River Road north to the eastbound beginning of the Mississippi 304 freeway. Photo taken by Robert Lee (10/08/06). Mississippi 304 stems east three miles as a freeway to join Interstate 69 north to Hernando. Photo taken by Robert Lee (10/08/06). U.S. 61 south approaches the trumpet interchange with Mississippi 304 east. MS 3 south provides an alternate to the freeway east from nearby. Photo taken by Robert Lee (10/08/06). Drivers loop away from U.S. 61 south onto MS 304 east for Interstate 69 leading back to Memphis. U.S. 61 otherwise continues southwest by several casinos to Tunica. Photo taken by Robert Lee (10/08/06). An I-69 trailblazer accompanies the confirming marker for MS 304 east as the freeway nears the half diamond interchange with MS 3. Photo taken by Robert Lee (10/08/06). “Road to Riches: DeSoto, region expected to reap major benefits of highway.” Memphis Commercial-Appeal, October 2, 2006. Page updated June 2, 2016.